Game streaming services are meant to provide gamers access to their favorite titles whenever they want and wherever they are, on as many platforms as possible. For many years, the gaming industry has become a multi-billion dollar business, so it's no wonder that many companies want a piece of the pie. Microsoft recently teased its xCloud game streaming service at the Samsung Developer Conference and said that it will be available on Samsung Galaxy smartphones. Microsoft plans to target just about every device with a display and Internet connection with xCloud so it doesn't come as a surprise that smartphones play an important role in the matter. 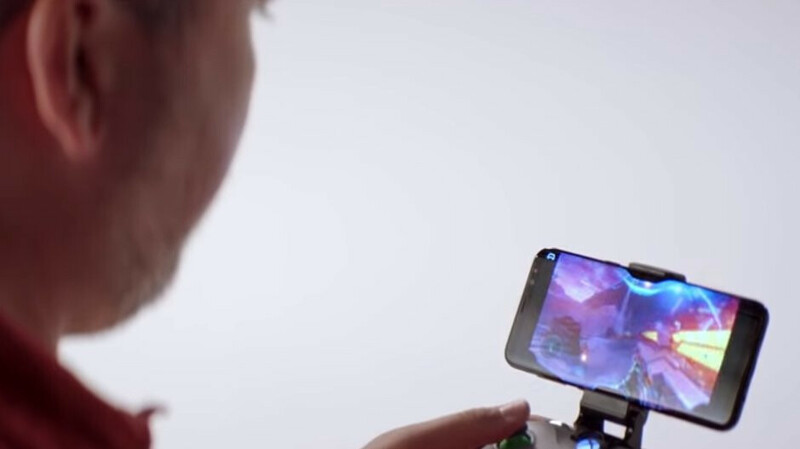 The xCloud game streaming service will use Microsoft's Azure cloud technology to make console-quality games available on all devices, including smartphones. Naturally, the games will run in the data center, as phones will act more like displays and controllers. Speaking of controllers, Microsoft will allow smartphone users to attach Xbox controllers when they play if they don't want to use their touchscreens. However, games that have been specifically developed for PC and consoles will probably require some updates to add touchscreen control. Microsoft hasn't yet announced when exactly xCloud will be ready for prime time, but it did say that it's now implementing the technology in its data centers, so it may take a while. It's also important to note that the first trials will begin in 2019. On a similar note, Google is already testing a similar service, which makes games like Assassin's Creed: Odyssey available to play in the Chrome for desktop browser, a project that's currently open in the United States only. I've tried Google Stream and it works pretty well. Happy to know that I can play real games on mobile. I wonder if they start testing soon and perhaps people can try out beta version of app. Console quality games being streamed on mobile? Good luck with that! It would require extremely amazing internet network with crazy speeds and extremely low ping. And i doubt many people have access to that. Like 5G? Wont be long before this is the norm. I agree. This will probably be targeted towards users with great home wifi. It's not even a new stuff, Nvidia's Gforce Now already doing that for the last 3 years. (but it's mostly for notebook) They write the recommended speed as "20 Mbps for 720p at 60 fps, and 50 Mbps for 1080p at 60 fps" But some guy on youtube show that it's possible to play with 5 Mbps and 300ms ping. Forget the 5G, and just stick to Wi-Fi. So, I'm guessing that you've never tried PS4 remote play ? When you could run remote play on non sony phones, there was almost no lag and you could use a Dual Shock 4. This could work, and you wouldn't need stupid fast speeds.